For many humans, making art isn’t a profession; it’s an obsession. The most striking example of this primal and irrepressible urge is found among the so-called “outside” artists — amateurs who often are destitute, isolated, marginalized, mentally ill or even imprisoned. 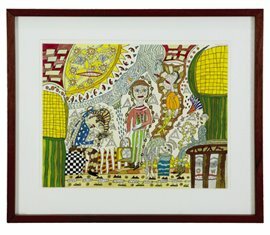 The only unifying factor between these folk artists is that they have no formal training in art production or history. The Kimball exhibition is drawn from the outsider-art collection of Kansas City-based Kelly Ludwig, who travels America’s blue highways to find and document outside artists. 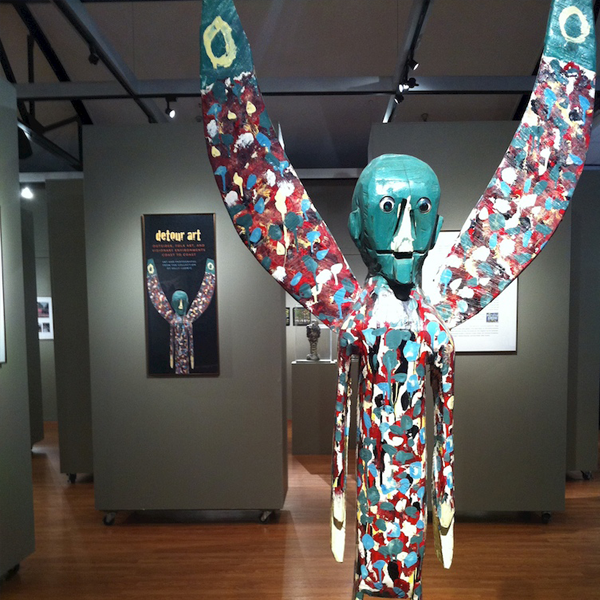 The show presents the spectrum of the often primitive or childlike genre — from the graceful wood carvings of Kentucky’s Minnie Adkins that draw from the folk art of duck decoys, to the crude but powerful tin cut-outs of Betty Sue Matthews, plus the intuitive modernism of Thornton Dial. Ludwig says outsider art is a “celebration of creativity.” She labels the genre as “detour art” because it’s an escape from so-called fine arts, and usually requires driving into rural backwaters to find. Terms applied to the genre — including “folk art” and “outsider art” — are fuzzy and getting more so, as academics, collectors and media continue to discover outsider artists, says Duff Lindsay, a collector and dealer in the art form from Columbus, Ohio. “I call it ‘contemporary self-taught,’” Lindsay says. “Outsider art is almost a historical term now.” After all, can anyone be “outside” anymore, asks Lindsay, a former television producer, given the media saturation of the modern world.